The Melodic Rock outfit PARIS has its origins in the French capital, but a short look at the album credits of the band's debut record illustrates that we are actually dealing with an international affair. The two main characters, Frédéric Dechavanne and Sébastien Montet, hail from France, the duo is responsible for the songwriting, the lead vocals, the guitars and the keyboards. The Italian delegation is represented by producer Alessandro Del Vecchio (Lionville, Hardline, Issa – this bloke is everywhere in modern AOR), the rhythm section Anna Portalupi (Mitch Malloy, Lionville, Hardline) on bass and Alessandro Mori (Mitch Malloy, Lionville, Axe) on drums. Guests are in-demand Swedish songwriter Robert Säll (Work Of Art, W.E.T.) on guitar and Steve Newman (Newman, Big Life) from the United Kingdom on backing vocals. Frédéric and Sébastien met in the suburbs of Paris when they were still little kids, later in High School they discovered their common interest in AOR, Melodic Rock and Hard Rock. In 1985 they founded their first band together and started to write their own songs inspired by the multi-platinum albums and concert visits of some of the most successful acts of the genre during their heyday in the late 80s, Def Leppard and Bon Jovi. The guys continue to work on their own material during the next couple of years, but life had other plans for the two friends, so from 1993 on their band and song writing activities were put on hold for almost two decades. Ready then to take the next step, they contacted Alessandro Del Vecchio. The internationally renowned producer and musician took them under his wings and produced the songs in his studio, including some old favorites Frédéric and Sébastien had written 20 years ago. 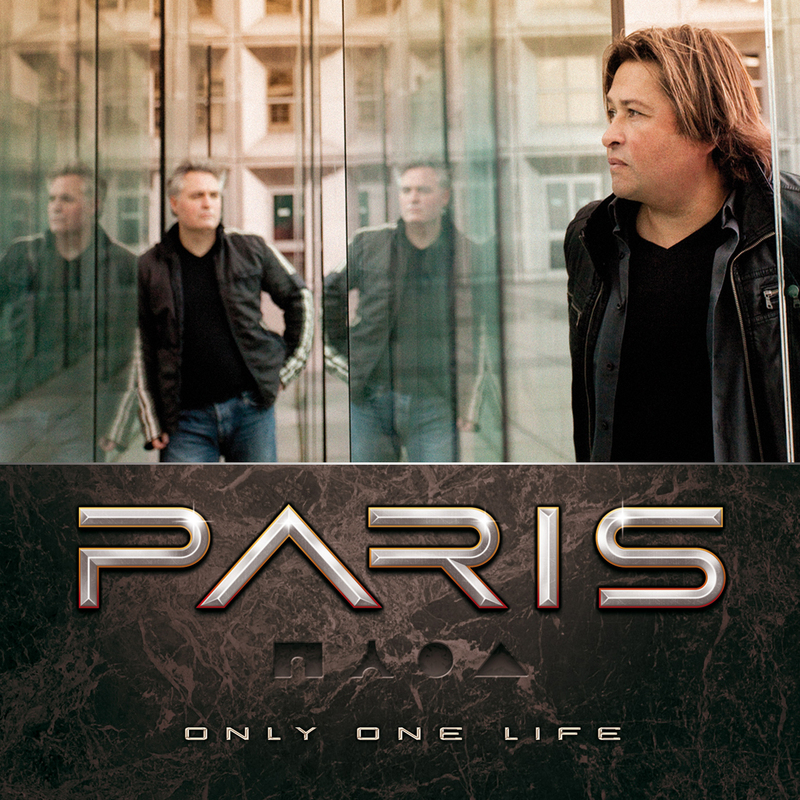 The PARIS debut "Only One Life" was recorded with the help of an international line-up of studio musicians, resulting in a collection of truly catchy Melodic Rock tunes. Robert Säll: Lead guitars on "America"